The Coaching Room’s Executive Leadership coaching programs are about challenging, supporting and empowering individuals to evolve as effective and functional Leaders, embodying their vision and engaged in the act of leading people & organisations. Executive Leadership Coaching is about facilitating, in a one-on-one setting, the resources, understanding, knowledge, skills and attitude available to the Leader, toward a stated vision, through the process of asking highly effective and insightful facilitative questions. Leadership Coaching is about enabling Leaders the communication and leadership skills to engage in the act of leading themselves and their people to their fullest potentials. The Coaching Room’s Executive Leadership Coaching program is designed specifically to help empower C-Suite Directors and Senior Executives in Leadership responsible roles. The Developmental side of our Leadership Coaching is the awareness and integration of blind spots and developmental switch points that hold the Leader back from facilitating theirs and others potential. Our Executive Leadership Coaching program is typically delivered fortnightly in cycles (6-sessions) over 3-month periods. Each cycle builds on the previous and foundational cycles to deepen and weave your emerging leadership through each coaching session and embodiment practise, as agreed upon by you or the Leader and their Coach. Our Executive Leadership coaching programs are available to individual Executives and teams, both nationally and internationally.  The Coaching Room offers both offline (face to face) coaching within Australia and online (live video (Skype GoToMeeting etc. and telephone) sessions. With over 6 years of providing national and international coaching support, The Coaching Room supports the significant benefits of both face to face and video/telephone access equally. Our Executive Leadership Coaching program includes Leadership Coaching Plus (Board Member or Leader Feedback and conversations throughout the Executive’s Coaching Cycle), as well as our Living 360 degree feedback interviews with peers, colleagues and direct reports. Incorporated into the Management Performance Program is Executive Coaching Plus™ – the inclusion of 2 additional x 15-minute meetings with the Manager’s Leader. These conversations occur prior to the cycle commencing and during the cycle completion session (or afterwards). These conversations are an opportunity to gain valuable insights into direction, as well as the Manager’s Performance blind spots and opportunities. This process also helps to ensure that the coaching cycle is aligned with the desired team and organisational outcomes as well as the individual’s outcomes. The Coaching Room’s Living 360 process is a revolutionary approach to gaining high quality feedback from peers, colleagues, direct reports and managers. The quality comes from the Coach’s capacity to facilitate specific, measureable, evidence-based feedback that can used to help the Manager’s growth and development. The Living 360 includes conversations with up to 6 people and is incorporated after session 2. Our selective diagnostic instruments provide a sound, measureable basis for beginning the Leadership Development process. They also assist with creating objective awareness of the Leader’s thinking (attitude), their sense of self (beliefs, values, identity), style and approach (behaviours). The Enneagram personality profiling tool is used to facilitate awareness of the Manager’s current way of approaching people, problems, challenges, conversations, delegation etc. in terms of habituated thinking patterns, attitude, behaviours, responses and reactions. The Self Review process and WFO survey is the Coaching pre-work completed by the Executive to help them identify their current personal, professional and organisational needs. 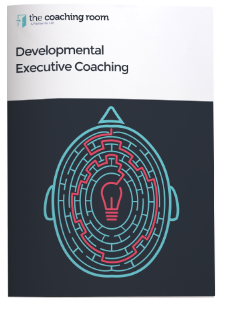 The Lines of Development lens looks at the Executive’s current level of capacity and competency in each of 10 key Developmental Intelligence Lines, and aligns each with the Executive’s Coaching topic and outcomes, therefore identifying developmental blind spots. Lines of Development include Emotional Intelligence (EQ), Moral Intelligence, Interpersonal (relationship) Intelligence, Needs Intelligence, Somatic (embodiment) Intelligence among many more. The Developmental Stages Assessment is an assessment methodology for human development, devised by Terri O’Fallon, Ph.D. This stage assessment maps your meaning making by identifying your current worldview (stage of human development). Created from Developmental Psychology, this assessment is particularly useful for Leadership and Organisational Development. “I have been extremely lucky to have Joseph come into my life as my leadership coach. Who is Leadership Coaching For? The Coaching Room’s Executive Leadership Coaching is specifically for CEOs and C-Suite Executives and Directors interested in Leadership Development and making lasting positive change, both personally and collectively. It is for those Leaders who want to be at the forefront of adult development, human and organisational transformation.